Shortcomings of the Residential Mortgage Foreclosure Mediation (RMFM) Program recognized by Panel | The Law Office of Emil Fleysher, P.A. Shortcomings of the Residential Mortgage Foreclosure Mediation (RMFM) Program recognized by Panel | The Law Office of Emil Fleysher, P.A. The Assessment Workgroup for the Managed Mediation Program was assembled in September by Florida Supreme Court Chief Justice Charles Canady in response to news that only 3.6% of cases eligible for mediation had settled in almost two years since the program was started. The group has recommended that the mandatory foreclosure mediation program should be abolished and replaced with a plan that allows courts to opt into the program. This conclusion ran counter to a majority of public opinion which suggested the program should continue. The group’s findings and their conclusion do not come as a surprise. In my experience, not a single settlement has been reached at one of these mediations. 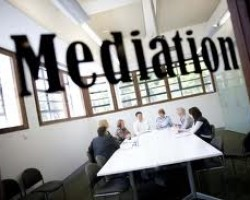 Among the many problems with the mandatory mediation program is that it is required to take place at the beginning of the litigation process. At this early stage, little is known about the case and there is not enough time to establish who the party with authority to enter in to a settlement is on the plaintiff’s side. The group identified two additional major weaknesses… low borrower participation and a lack of economic incentives for lenders. Banks avoid settling with borrowers in mediation because foreclosure lets them tap the Federal Deposit Insurance Corp., which guarantees the original mortgage amount. Also, servicers have an economic incentive to avoid settling because they earn fees while a foreclosure case in ongoing. The vast number of mediations has had the effect of clogging the courts. Bills have been proposed to streamline foreclosure law and having an opt-in system would further help clear out the clog. But some have asked if there should really be a rush to fix the clogged system. A family that will be homeless is better off if they are allowed to stay in their home for an extended amount of time and banks hesitate to take possession of foreclosed homes because of the expenses and liabilities they take on. A change in the current mediation requirements is expected to be presented and implemented sometime next year. If you have questions about Foreclosure, Loan Modification, or Bankruptcy, please feel free to call my office at 954-484-9987, send an e-mail to info@fleysherlaw.com, or complete the contact form below.